The Guatemala El Bosque was carefully roasted for you by Kuma Coffee. This fully washed coffee was sourced from the growing region of Chimaltenango in Guatemala and was produced by the Miriam Villanueva at 1,650 - 1,800 meters. 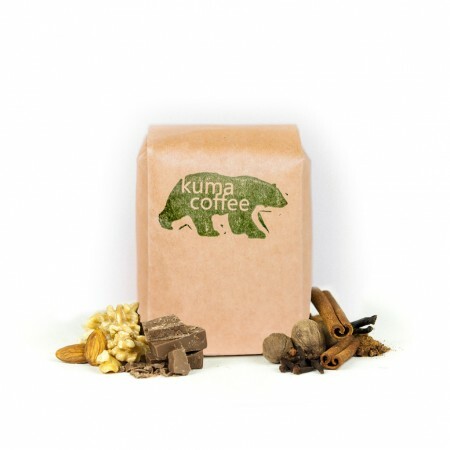 This coffee is perfect for its notes of chocolate and caramel and a pleasant acidity. This was an absolutely addictive cup of coffee. There weren't any notes in it that blew me out of the water, but it was smooth in the right places, bit just enough to keep my attention, and smelled incredible. i gave this a 4 but should be more like a 3.5. good, but not amazing. i like its earthiness and balance, but it just wasn't an extraordinary coffee.